1976 Alfa Romeo Spider Junior 1300 & 1600 Owner's Manual. 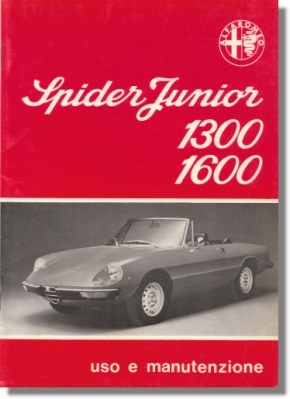 Vintage October 1976 owners manual for the Alfa Romeo Spider Junior 1300 & Spider Junior 1600. It measures some 6 x 8 inches or 15 x 20 cm and counts 44 pages + a fold-out wiring diagram. 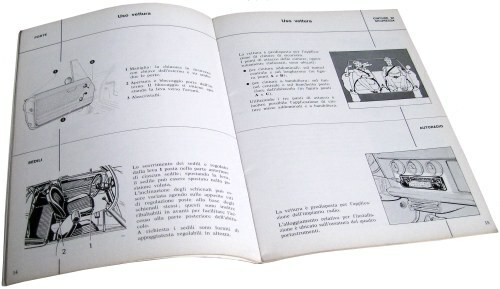 Print reference: N. 2336 R1 10/76 - 800, printed in Italy. Total edition: 800 pcs. only!